The dollar held firm near a five-month high on Wednesday helped by gains in long-term U.S. Treasury yields, while the euro shrugged off reports that a possible future Italian government would seek debt forgiveness from the European Central Bank. The dollar index versus a basket of six major peers stood at 93.240 .DXY after rallying to 93.457 overnight, its highest since Dec. 22. It was 0.03 percent lower than Tuesday. 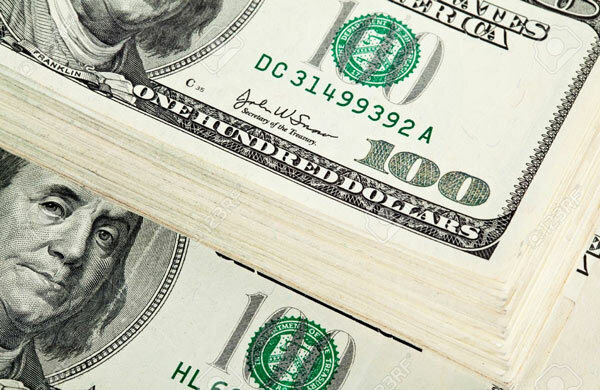 The dollar rally stalled last week after weaker-than-expected April U.S. inflation data but was lifted on Tuesday when strong U.S. consumer spending numbers sent 10-year Treasury yields surging to a seven-year peak of 3.095 percent US10YT=RR. Elsewhere, the euro was up 0.1 percent to $1.1853 EUR= after brushing $1.1815, its weakest since late December. The single currency did not appear to be impacted by a report overnight that Italy’s anti-establishment 5-Star Movement and far-right League plan to ask the European Central Bank to forgive 250 billion euros ($296 billion) of Italian debt. The single currency has performed well in 2018 with traders betting on prolonged dollar weakness because of the United States’ trade and budget deficits and investors expecting to allocate more money to the euro zone as its economy strengthens. On Monday the franc, traditionally seen as a safe-haven asset, enjoyed its biggest one day rise against the euro since February. The Australian dollar was up 0.3 percent at $0.7491 AUD=D4 after sliding 0.7 percent overnight. The pound was a shade weaker at $1.3501 GBP=D3 after slipping to $1.3452 on Tuesday, its lowest since Dec. 29.